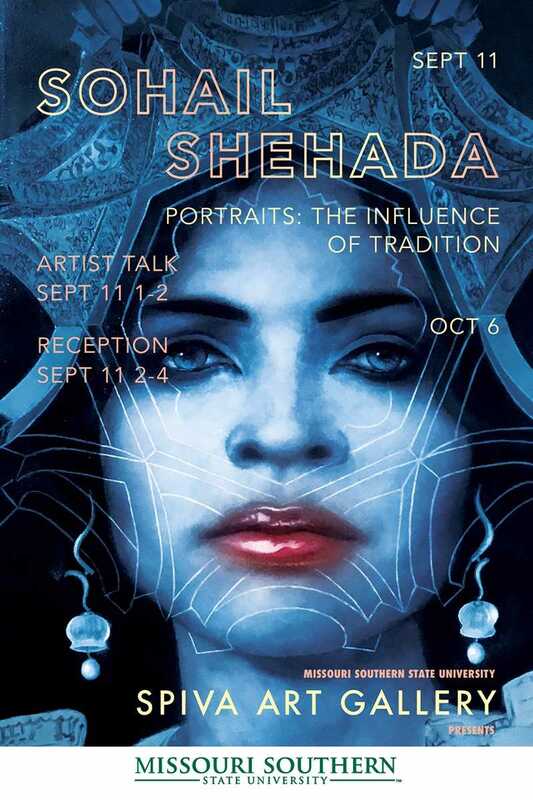 “Portraits: The Influence of Tradition,” a solo exhibition sculpture and painting by artist Sohail Shehada, will open Monday, Sept. 11, in the Spiva Art Gallery at Missouri Southern. An artist’s talk will be held at 1 p.m. on Sept. 11 with a reception following from 2 to 4 p.m. The exhibit will be on view through Oct. 6. Cultural tradition has been an important theme in Shehada’s work, whose research and teachings have included aboriginal art, African masks and various themes of non-western and western culture and performance. His art features theatrical and sacred figures of performance, such as the ornate costumes of the Ballets Russes and African masks. The figures in his work assume a certain identity based on traditional attire or physical traits. Shehada earned an MFA in ceramics, and a bachelor’s of architecture from the University of Oklahoma and a BFA from Oklahoma State University. He is an assistant professor of figurative sculpture and drawing at the University of Oklahoma. He also serves as an adjunct professor in OU’s African and African American studies program­. The Spiva Art Gallery of MSSU is open at no charge from 9 a.m. to 5 p.m., Monday through Friday. For information, call the MSSU Art Department at 417-625-9563.